Home Blog Apple Mac Adobe CS6 is nearly here..
Adobe CS6 is nearly here..
Adobe on a three year lease. We anticipate that the RRP of the product is unlikely to change at this time (meaning you could acquire Adobe CS6 Design Premium for as little as £9.50 + VAT per week on a flexible software lease). Why wait though? You might need Photoshop or Dreamweaver for that then important projects today, the last thing you want is to wait another month (maybe longer) to get your hands on your required product, but equally you don’t want to get CS5.5 knowing CS6 is just around the corner. Adobe have clearly given this some thought and you will be pleased to know if you lease Adobe CS5.5 on a HardSoft lease today you can register your purchase with Adobe diret to gain a Free upgrade to CS6 on its release ! Any product purchased between the 26th of March and 6th of May will be eligible and the only cost is that of postage to get the dvd media. 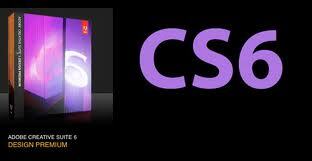 Are you a user of Adobe CS5 or CS4 ? Then you could also get a CS5.5 upgrade which would stand to save you 80% or 45% respectively on the cost of your CS6 Design Suite. And you still get the free upgrade. So if you are thinking of getting Adobe in your studio contact us now to get a quote and discuss how leasing Adobe CS6 from HardSoft can help you, remember unlike most of our competitors we can facilitate a lease with a higher percentage of software than hardware and in some cases could even do a 100% software lease to established businesses.